I have a 21-year-old sandwich in my jewelry box. Well, full disclosure, it’s actually a half a sandwich, cocooned in Saran Wrap. It’s hard-as-a-rock, flat-as-a-pancake, and wrapped-tighter -than Aunt Gertrude’s support hose. And I can’t bring myself to throw it out. You see, my paternal grandmother (aka Nana Kenny) sent it to me as part of a gift for my wedding shower in 1989. “But what *is* it?” I asked. “I don’t know. But Nana Kenny gave me one at my bridal shower. She told me to keep it in my cupboard and never get rid of it ,” Mom said. Being a reporter, you’d think I would have chased down that story like Woodward and Bernstein on Watergate. But Nana Kenny lived in Maine, and I usually only saw her once every other year on Thanksgiving — when I was enlisted to spread the olive-infused cream cheese in celery boats and then spent the rest of the day with my giddy cousins trying on expired Avon samples of classic scents (Topaze, anyone?) from Nana Kenny’s sales totes. Nana Kenny wasn’t a soft, cookie-baking kind of grandma. Her husband died in the late 1950s, leaving her with eight children and a lot of laundry. By the time we grandchildren came around, I suspect Nana Kenny was exhausted. Single mothers back then didn’t have the luxury of drop-in daycare, Starbucks and Mommy Chat Rooms on the Internet. But she was always impeccably dressed and held herself with a self-assurance that I feel sure was handed down genetically. So, time marched on. I moved to Texas. Then to New York. Then back to Texas. Nana Kenny passed away in the early 1990s. And I had a career and family. But every time I’ve opened my jewelry box over the years, the flat sandwich peers out at me like those eyes in the Geico ads. So I called my mom (who — by the way — is awesome) and was Nana Kenny’s daughter-in-law, and pelted her with questions. Did she still have her sandwich? “I’ve kept it for 45 years. It sits on the top shelf in the kitchen cabinet in one of Nana Kenny’s favorite casserole dishes. It has moved with us 6 times,” she said. Did Nana Kenny have a sandwich? “I only remember that she showed me the one in her cupboard that was given to her when she was married,” my mother said. I’ve done a little digging and found small crumbs of answers. There is a Polish wedding tradition that involves parents presenting the couple with bread and salt and a glass of wine. The parents sprinkle the bread with salt and give it to both of the newlyweds to eat. The bread represents the parents hope that their children will never experience hunger or need, the salt reminds the couple that their life may be difficult at times and they must learn together to cope with life’s struggles. But Nana Kenny was French, not Polish. And I feel certain Saran Wrap wasn’t part of the ancient tradition. Still, I suspect there is a common thread there — a message of sustainability in life, love and family. And I’d like to think it’s a symbol of strength from a woman who persevered – a knowing nod, if you will, through the ages that we wives and mothers can hold together families through good times and bad. I mean, it’s a little weird. Some granddaughters have heirloom jewelry. Others get exquisite china sets. I have an antique sandwich — which doesn’t translate well into a necklace nor a coffee table bauble. But I have a great 21-year-old marriage. I think I got the best deal ever. ~ by Donna J. Tuttle on March 17, 2010. This is so awesome. Precious legacy. Makes me smile that your mom still has hers, too. You know, Donna. If you need a taste tester, I’m happy to oblige. As you know I’m on a diet. And I’m certain that the result of eating this half sandwich will be an accelerated weight loss process. I’m willing to do that to help solve the mystery. You are a martyr. I’ll be right over. Fantastic!!! 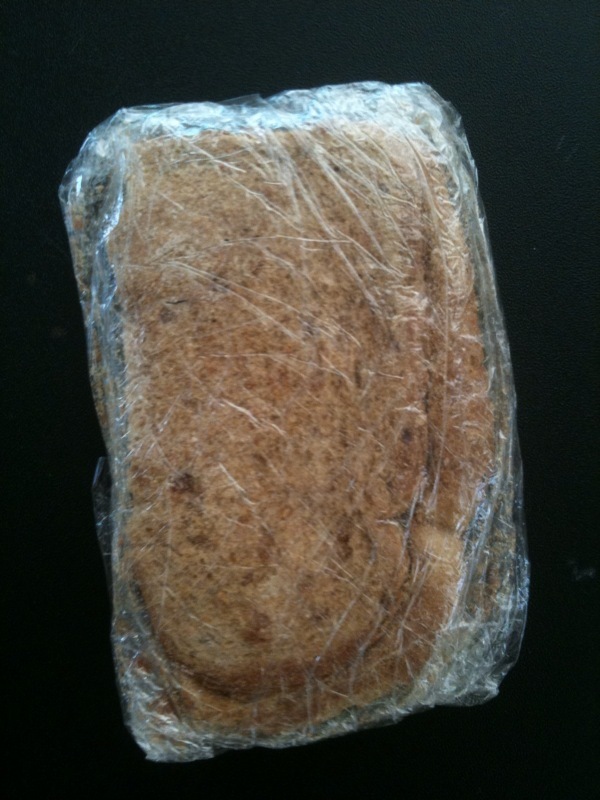 So, when your girls get hitched – I expect they’ll get some saran-wrapped sammiches? Perfection! I actually hadn’t thought about that, but I think I’d better! Wow! Every family has their quirks… I wouldn’t expect anything less from you and your amazingly awesome family. My family does the jewelry thing but I’d love a sandwich story over a necklace any day! Great story! I bet that is exactly why she left you the sammich. She never wanted you to be hungry. This is just marvelous–the story and the writing. Thanks! this is a really neat story Donna. I have a very small family and it’s stories like this that always make me wish I had one of them big families with traditions like this. It’s funny how people say there is no magic in the world, and then we see this, maybe it’s a sandwich from back when I was 4 years old, or maybe it’s something a lot more special. Wow. This is one of the sweetest “odd” stories I’ve read. And I can’t imagine anyone else writing about a 21 year old sandwich so tenderly and fondly. Thank you for sharing. Congratulations on 21 years Donna. That is amazing!